Cardiac tamponade is a life threatening pericardial disease which is characterized by an obstruction of inflow of blood to the ventricles leading to a decrease of cardiac output as a result of the pressure around the heart caused by accumulation of fluid within the pericardial space in a sufficient quantity. In this book, the key elements of the anatomy and physiology of the pericardium are reviewed, and the pathophysiology, etiology, clinical features, diagnosis and management of cardiac tamponade are discussed. Regional blood flow and metabolic derangements reported in experimental models are reviewed as well. 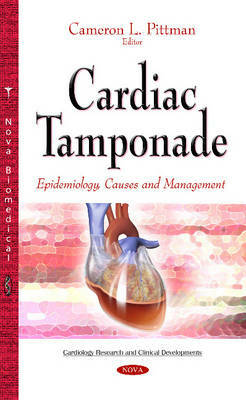 Other chapters examine the epidemiology, clinical presentation, diagnostic and therapeutic approaches of malignant pericardial effusion and a discussion of mood alteration (in particular, acute dysphoria) that is associated with cardiac tamponade, that which is widely mentioned in nursing and medical literature.